For Storage Tank Builders, Underground Storage Tank Manufacturers Companies, Tanks Installation Firms, Storage Vessel Production Agencies, Etc. 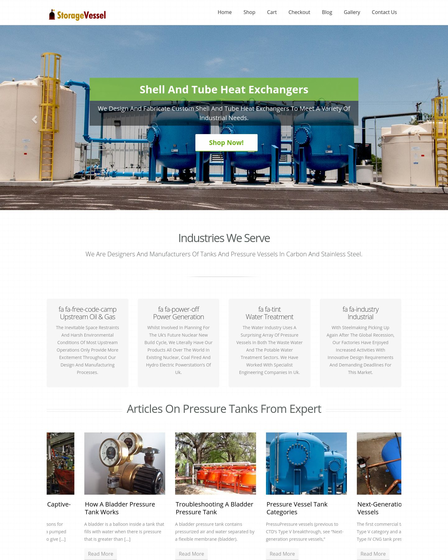 Storage Tank WordPress Theme is crafted to highlight your business of storage tanks on the global platform which let you expand your business. It is always ready to deliver the sensational look of the website on every size of devices. You can access your business portal from tablet, mobiles & PCs. 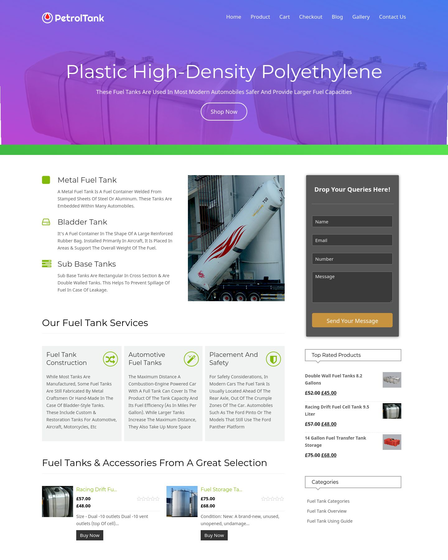 StoreTank template comes with the inbuilt portfolio page where you can project the latest programs or any achievement of your companies. With the help of nextgen gallery plugin, you can flaunt portfolio in footer panel as well as in sidebar panel of your website. Clients review matter in every industry of every sector. You can publicize your customer’s sentiment on your services via testimonial features which appear with the stunning parallax background image. 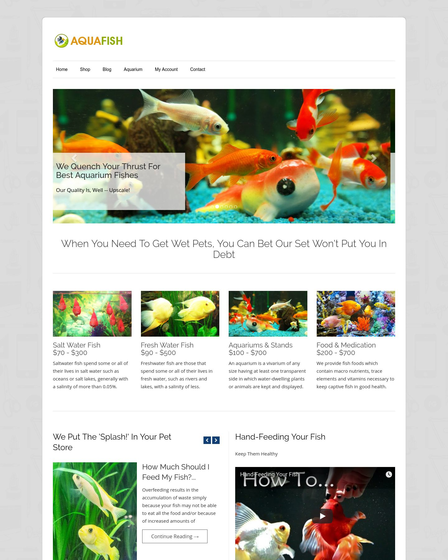 The template offers you to a couple of media section where you can upload the useful maintenance tips on the web page. The video helps to deliver information more efficiently. The free blog section of the template consent you to write the informatory note on your website. The latest updated posts will highlight on the homepage arena from where visitors can read out without any inconvenience. Social communities are the great means to promote the business stuff. The integrated social icons will avail this facility on your official webpage. 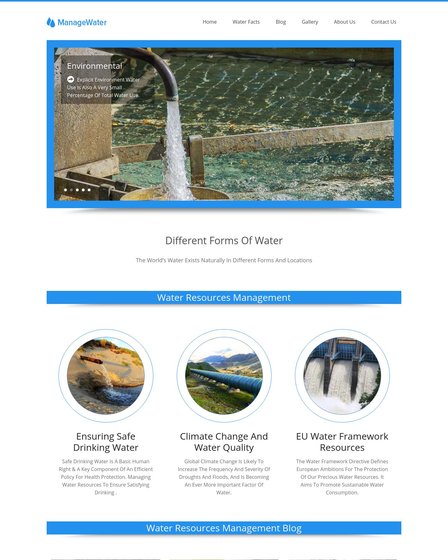 Responsive layout – Operate your website from any smart devices. Easy setup – The theme kit has easy to setup which can be understood in minimal time. One click installation – Just click to set up your website. Advanced admin panel – The sophisticated backend panel to manage the website. SEO optimization – This tool helps you to optimize the web page on the search engine result. Custom logo & favicons – Every firm has its own symbol, the top left area is reserved for the organization identity. 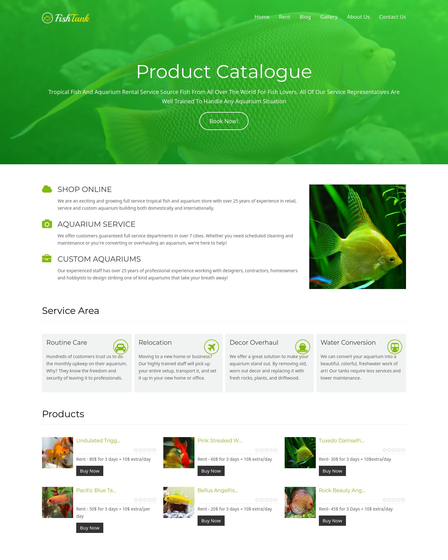 Organized menu section – Organized menu helps the visitors to navigate the website. Inbuilt contact page – Allow your users to contact you directly. CSS enabled – This option unique helps you to customize the display of your website.